The calmer both individuals are able to stay, the more likely they will make better financial decisions. While many couples may feel that holding onto particular assets—such as vacation homes—would be wise in case their adult children would like to use these assets, selling them and distributing the income instead can sometimes better ensure that proceeds are divided equally, thus avoiding family feuds. It is entirely possible—in fact, often even common—for the spouse who does not have an income (or who has less of an income) to have to borrow money in order to get divorced even though the other party has plenty of assets. Even while you are married, it is crucial that you always have assets in your name to fall back on—in case anything happens. Many divorce attorneys will advise you to consult with a financial analyst during your divorce to ensure that any decisions made are good ones in the long-term. These decisions have serious consequences; it does not pay to rush through them in an effort to get through your divorce proceedings quickly. Because financial information now exists in email folders, computers, etc., note that crucial information isn’t necessarily “on paper,” but rather available (or, in many instances, protected) as electronic files. Key issues that come up about investment during your divorce will become more familiar to you the more that you review joint tax returns. Once again, tax returns could hold any clues to hidden investments. Make sure that you make the appropriate plans for your needs. For example, if a college savings plan for a child is going to change because you will be supporting yourself as a single person, make that known early on in the process. Regardless of whether you think you and your spouse would even ever contemplate divorce, it is important to remember that important financial planning often looks very similar to a prenuptial agreement. It simply makes sense to lay out the rules at the outset. 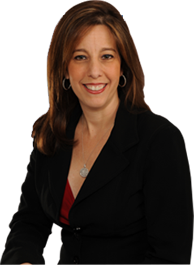 If you are dealing with divorce and are concerned about property and asset distribution, contact the law office of Sandra Bonfiglio, P.A. in Fort Lauderdale. We can help you better secure your financial future while avoiding the stress of asset distribution during divorce.